It is time for some unboxings again :D Today, I have the German Glossybox September 2017 for you. The box was kindly provided to me for reviewing purpose by Glossybox. 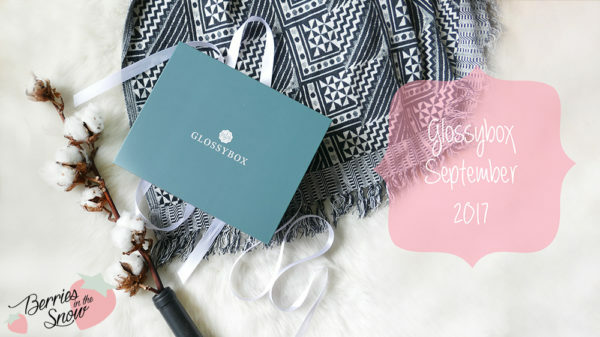 The Glossybox of September has the wonderful topic “Wanderlust”. I fell in love with box at first sight because instead of the regular pink boxes you get from Glossybox, this time the box had a beautiful dark green color, that fits perfectly to the topic and the fall season. Also the included Glossy magazine fits to the topic, which a beautiful photography from nature, making us long for some long and peaceful walks through the forests. The box includes 6 different products this time reaching from decorative makeup to skin and body care. 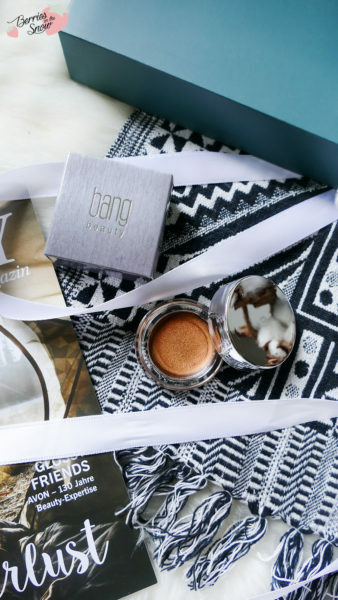 This vegan and cruelty-free cream eyeshadow has a bronze color containing sparkle. It really pops up when applied to the eyes and the bronze color is very suited for the fall season. The description says that it also can be used on the lips or as blush (fullsize, 3.5g retails for 23.00US$). You can get 25% discount until end of November using the code GLOSSY25 on the official site. This product was not listed in the Glossy Magazine, and also it is the product which I won’t be using. It is a dark blue colored eye liner. Since I’m only wearing black and brown eyeliners this will be given away for sure (fullsize, 1ml retails for 22€). 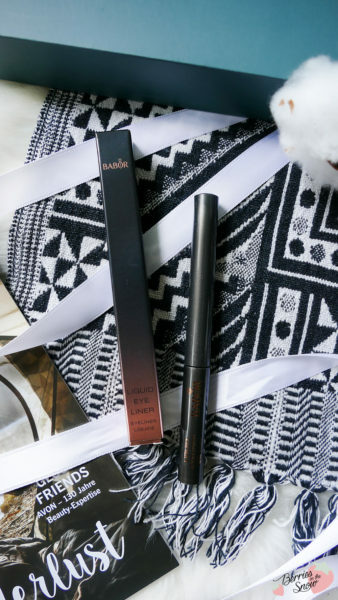 You can check out the black liner >>here<<. This mist is designed to hydrate and refresh your skin. Apart from Hyaluronic Acid it also contains silver particles (travel-size, 30ml retail for 39.95€). 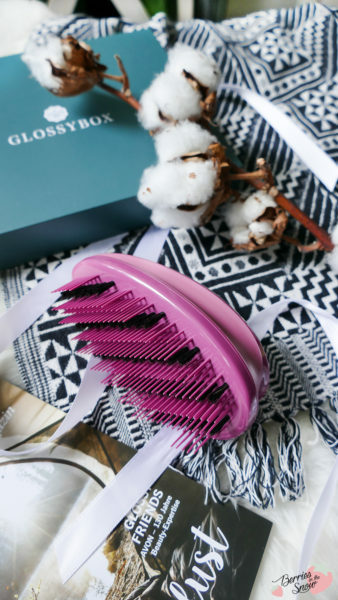 This detangling brush combines boar bristles with plastic bristles in four different heights. Also the handle has additional rubber coating, so it doesn’t slip off your hands. I prefer this to my tangle teezer I had before. Also I love the combination of the plastic bristles and the boar bristles. I feel it combs more thoroughly through the hair (retails for 11.99€). You can get it >>here<<. I was so happy about this product. 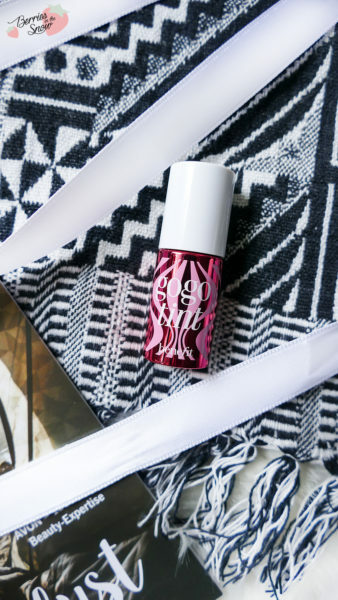 I love lip tints and the classic benefit tint was my first tint ever. This tint is more pinkish that the original, but it is as awesome as ever. Perfectly to use on lips and cheeks and gives you a nice pop of color (travelsize, 10ml retail for 33€). Check out benefit tints >>here<<. 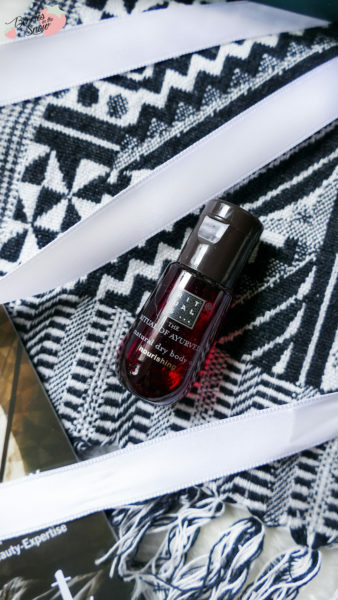 This body oil was this months goodie and is a hit to the new Glossybox Special Edition dedicated to the “The Rituals Of Aryuveda”. I love the products from Rituals for their unique and divine scent and aromas. This body oil was really a nice surprise to have as additional item in the box (travel size, 100ml retail for 19.50€)- Check out the products from this line >>here<<. The content of the September box was nicely selected. My favourites are the detangling brush, the benefit tint and the Rituals oil. I will not be using the eye liner though. I also think that blue is not a good selection for fall season. Nevertheless, all together I’m happy. 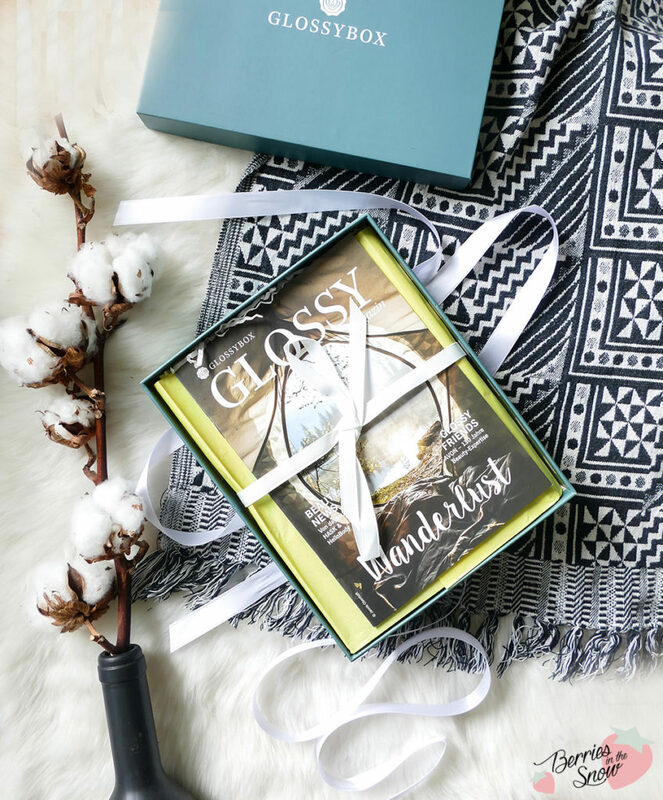 Glossybox is available as flexible subscription for 15 € per month. There are also other subscription options available, like a 3 month, 6 month or 12 month subscription for 14,50 €, 13,50 €, or 12,50 € per month, respectively. Check out www.glossybox.de for more information. How do you like the content of the Wanderlust Edition? Just as a short reminder: All products mentioned and reviewed on this blog are of my personal opinions. 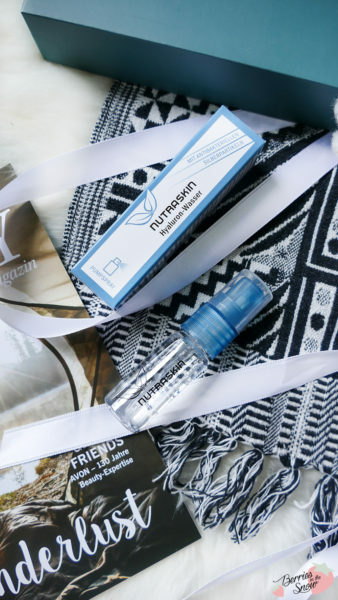 This product here was sent to me for reviewing purpose by https://www.glossybox.de/ which doesn’t influence me in providing my honest opinion on the products. Das Thema Wanderlust finde ich total schön! Sind auch echt coole Produkte dabei. 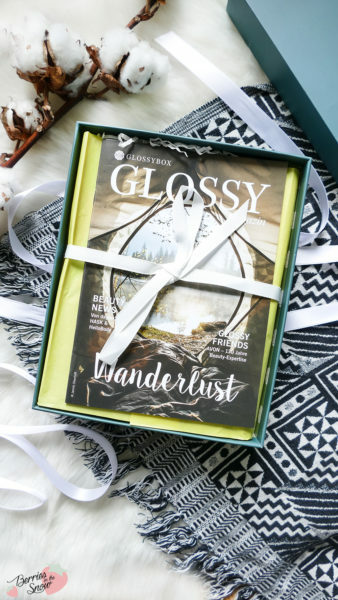 Ein tolles Thema für eine Glossybox, vor allem die Reisegrößen hätte ich auch sehr gut gebrauchen können – ich fliege bald endlich in den Urlaub :) Tolle Produkte sind dabei, auch, wenn nicht alle etwas für mich wären. Ich finde das Thema ist schön umgesetzt und die Zusammenstellung gefällt mir. Über die Produkte hätte ich mich auf jeden Fall auch gefreut.